Happy New Year! We hope you’ve all had a fabulous holiday season. 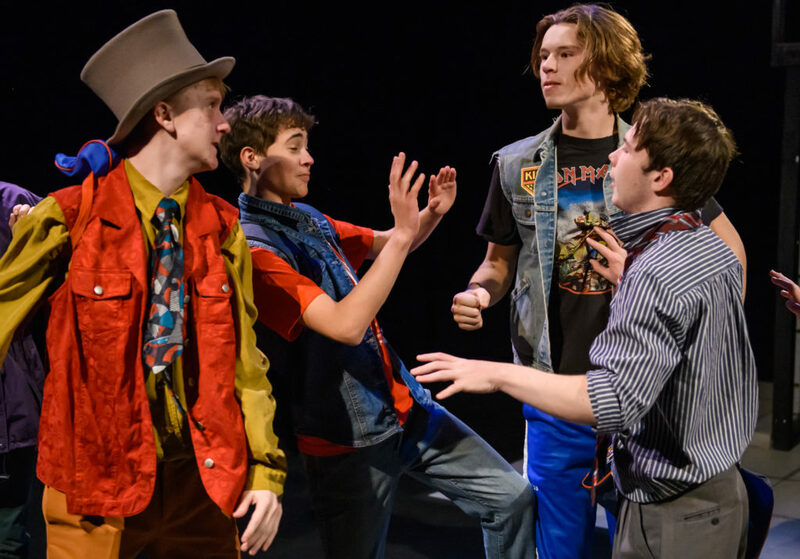 We’ve remained busy with Peter Pan rehearsals, a performance at the High Performance Rodeo’s 10 Minute Play Festival featuring our youth performers, and with the start of season planning for NEXT year. That’s right, our 2018 Outpatient Collective is at work, and it includes a whole flock of wonderful young artists who are graduating this year. One of these young artists, who is also our January YP of the Month, has been with CYPT for years. He started as a summer camp kid and then moved over into our productions, and we love him. We just love him. He’s funny, positive, and gives the best hugs in the world. Every time he steps onto a CYPT stage or into a CYPT rehearsal hall, he brings with him a wave of good-will and silliness. He’s remarkably talented and we look forward to seeing what he and the other Outpatients create. And who is this gregarious gifter of grins, good-will, and great performances? 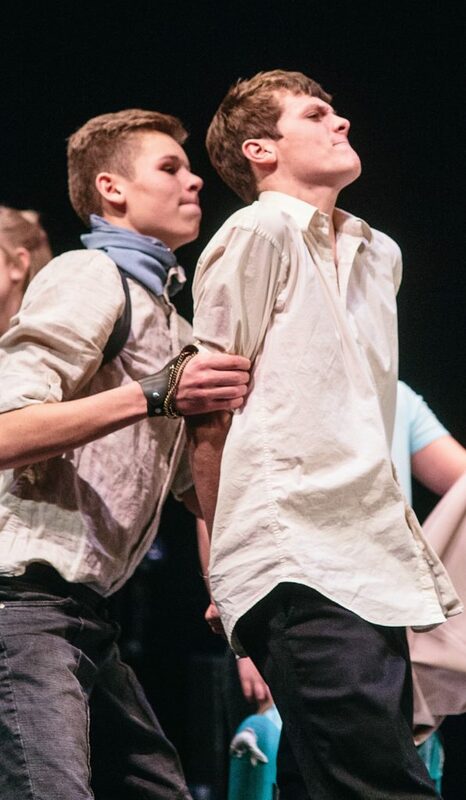 Brent is a 17 year old who has a great love for acting. Brent started his quest for onstage heroics and theatrics when he was just a small human being at the age of 7 years old with a trek into the world of dancing. 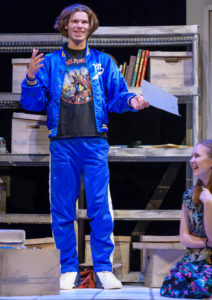 Brent graduated from dancing into the greater and more amazing world of drama only a year later at the age of 8 years old with CYPT summer camps and truly fell in love with drama and theatre. Brent in Grounded (2017). Photo by Rob Galbraith/ Little Guy Media. Through his many years of theatre he has done three shows with CYPT. Brent’s first show was the amazing story of Atlantis, where he played the burly rebel character of Greg. 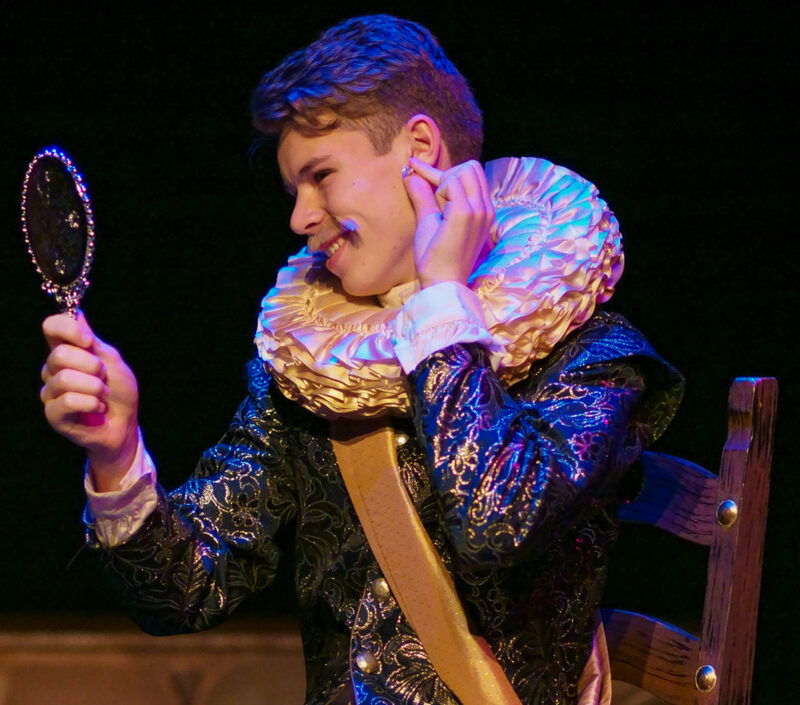 Brent second show was that of an amazing mashup of comedy, drama, and action… The Three Musketeers! 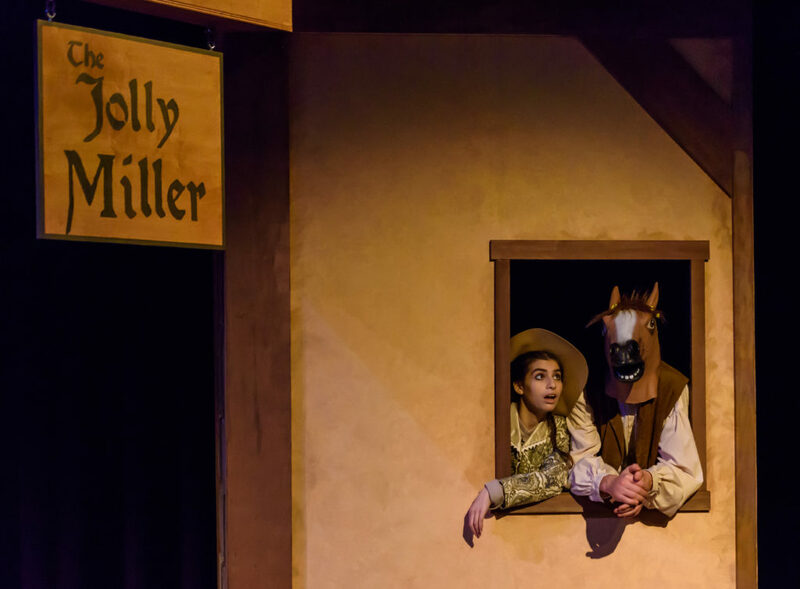 In this show Brent played not one but two characters, billy the horse, D’Artagnan’s trusted noble steed, as well as The Duke of Buckingham, the hopeless romantic that quests for love. Then in Brent’s final onstage show, one so beautiful and amazing he started crying when reminiscing about the show, was Grounded. In Grounded Brent played the role of Tony, a steroid loving athlete who gets sent to Sir Richard Falls Academy by his parents to get murdered, but that doesn’t actually happen and he lives happily ever after with his best friend Squim running a magic/sports store in Las Vegas. It’s through all of these years Brent has really grown as a person and he could not thank CYPT enough for being an extended family to him who gives him all the support he needs in his times of need. He really loves everyone that has been a part of his life from CYPT because it has given him many life long friends and has given him the most amazing life anyone could ask for. 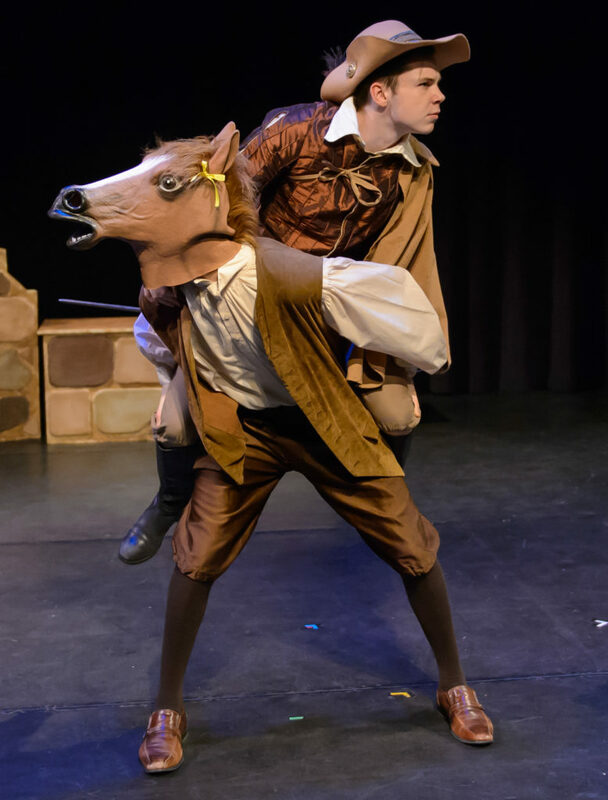 Brent (as Billy the Horse) and Jonas in The Three Musketeers (2016). Photo by Rob Galbraith. Stage combat in Atlantis (2015). 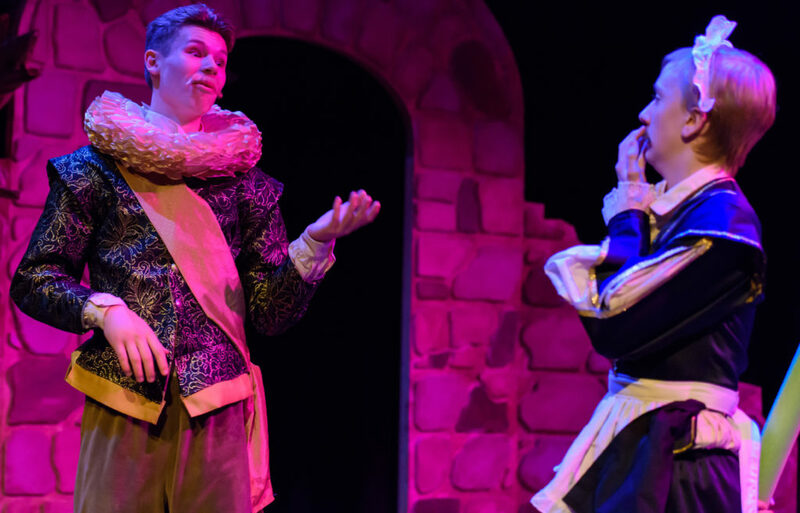 Thea and Brent hang outside the Jolly Miller in The Three Musketeers (2016).